As Mars colonization inches ever closer to becoming a reality, some have argued that the ability to afford a ticket to the Red Planet is a luxury afforded only to the wealthiest members of society. Billionaire Elon Musk has said it’ll run potential Mars inhabitants traveling with his company SpaceX hundreds of thousands of dollars to get there. But in a new interview, he rejected the assertion that a one-way ticket to Mars is an easy ticket out for the rich. The comments were part of an interview with the SpaceX and Tesla CEO that will air Sunday evening in the final episode of Axios’ four-part limited documentary series on HBO. In a clip from the interview, Elon Musk hinted that advancements by his company for Mars colonization have been notable and said there’s a “70 percent” chance that he heads to the Red Planet himself. Musk reasserted that a trip to Mars with his company would be likely be priced at a “couple hundred thousand dollars,” which is certainly an exorbitant amount of money for the average person but relatively low for space travel. But in spite of the reported thousands of people who are already vying for an opportunity to colonize the planet, Musk pointed to the harsh conditions under which any Mars inhabitants would be expected to live and insinuated it wouldn’t be the cush existence that might appeal to the wealthy. The SpaceX CEO noted the intense working conditions for early Mars settlers, claiming that anyone who makes it through the initial trip has “nonstop” work ahead of them in order to help build the base. Musk said there will be little in the way of time for leisure, and even if Mars inhabitants can tough it through the initial trip and daily work, there’s still a chance that the conditions on Mars could result in death. There’s also the possibly those who travel to Mars may never return to Earth. “Does that sounds like an escape hatch for rich people?” Musk asked. 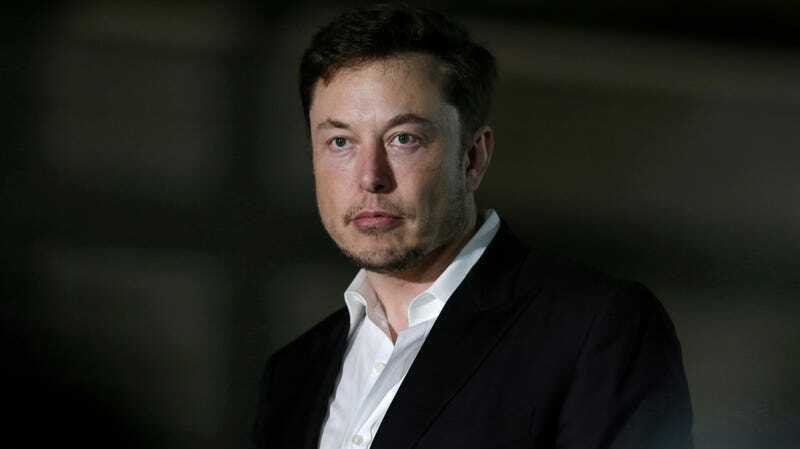 Speaking at the International Astronautical Congress in Guadalajara, Mexico last year, Musk said that he aimed to base the cost of the trip around the median price of a house in the U.S.
Musk also said that sponsorships could come into play and suggested that the average person could squirrel enough away to eventually afford the trip. Be that as it may, 200,000 clams is still a hefty and unattainable sum of money for most—even for those already saving. Will Humans Have to Upgrade Their Bodies to Survive on Mars?